The next holiday football camps will be held on 10th and 11th April. Details below – please email projects@bwb03.com for further information. We hope to see you there! 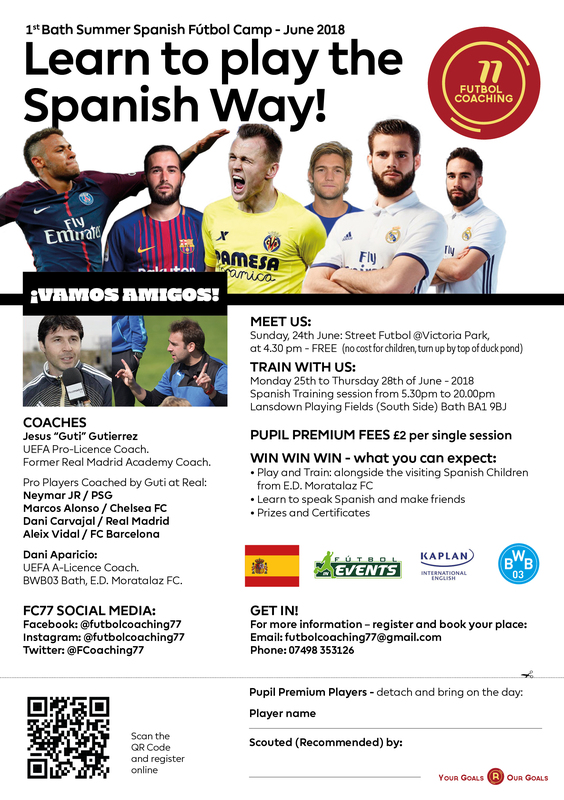 Thanks to funding from Curo and the Police Community Trust, we are once again able to offer affordable football camps for 8-12 year olds over half term. Please see full details below and contact projects@bwb03.com to register. The Trust has been supporting Oldfield School pupil Samir with a sports bursary to help him continue training and competing at the highest level in judo. Samir has now been selected for the Western Area squad, and recently won the Western Area British Schools Championships qualifiers in his age category. He now goes on to represent Oldfield School at the British Schools Championship in April. Well done Samir, keep up the hard work and we wish you every success! Following close voting in the Tescos store in Keynsham before Christmas, The Trust has been awarded a grant of £8,000 towards the cost of developing a school sports hub in the Bath area. The award has been made under the Bags of Help initative, which offers help to community groups and projects using funds raised by Tescos from the 5p carrier bag levy. Now that the funds have been secured the work can begin on this exciting project. Many thanks to Kelly Purnell who recently organised a raffle for two wallets very kindly donated by Mulberry. The winning tickets were drawn at the Christmas ice skating party, and the raffle raised £231 towards the Trust’s funds. Well done to dancer Kitty, one of the beneficiaries of the Trust’s sports bursary programme, who has just returned from the Tap World Championships in Germany with a gold medal. Kitty danced for up to 15 hours a day during the Championships – but all the hard work paid off! Well done Kitty and the GB team. The Trust has just awarded 2 sports bursaries to local school children to help them further their progress in their chosen sports. Oldfield School pupil Samir has been awarded a bursary towards his judo competition fees and association membership. Samir has been hugely successful in regional and national competitions, and is now training for the British School Championships in April, and hoping for selection to the England pre-cadet team. 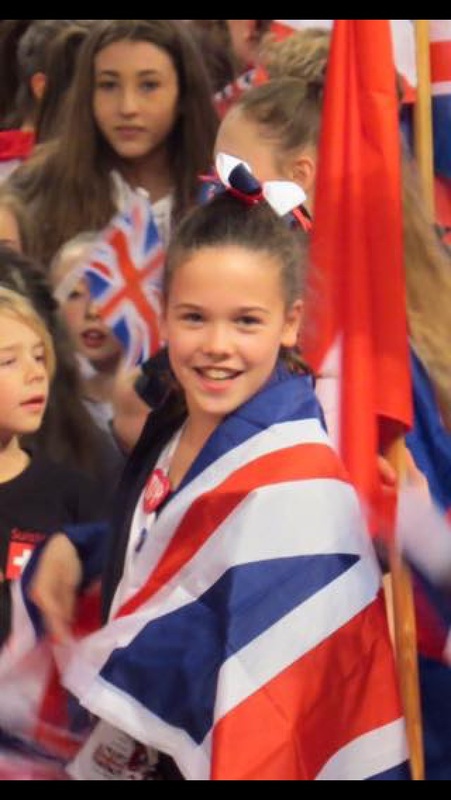 Jemima is in Year 7 at St Gregory’s and is currently competing for Team GB in Germany at the World Tap Championships, where she has just won gold. Her bursary will help fund the costs of this competition. We wish Samir and Jemima further well deserved success over the coming months – watch this space for updates on their progress. Despite receiving nearly 3,000 public votes, we just missed out on being awarded a grant from the Aviva Community Fund to create a community football facility in the Bath area. Many thanks to all of you who supported the project and voted for it – we will try again next year!